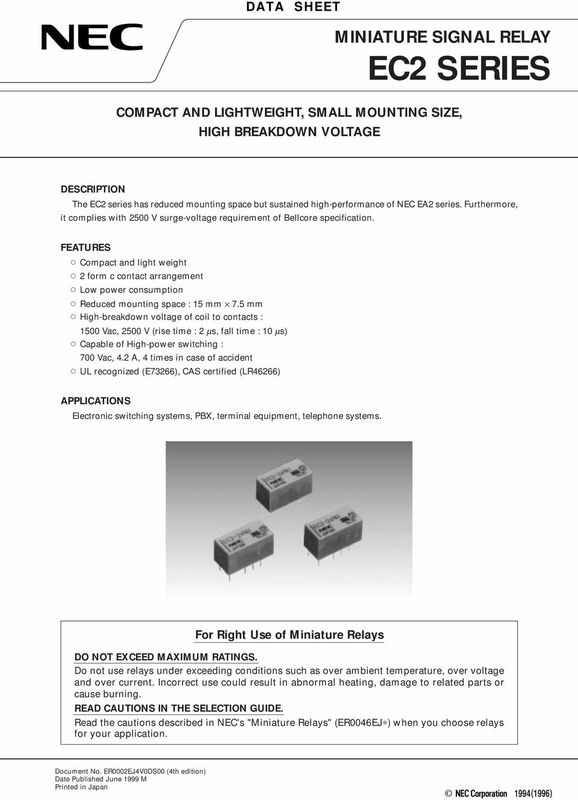 Download "DATA SHEET COMPACT AND LIGHTWEIGHT, SMALL MOUNTING SIZE, HIGH BREAKDOWN VOLTAGE"
8 EC SERIES Specific: No part of this document may be copied or reproduced in any form or by any means without the prior written consent of NEC Corporation. 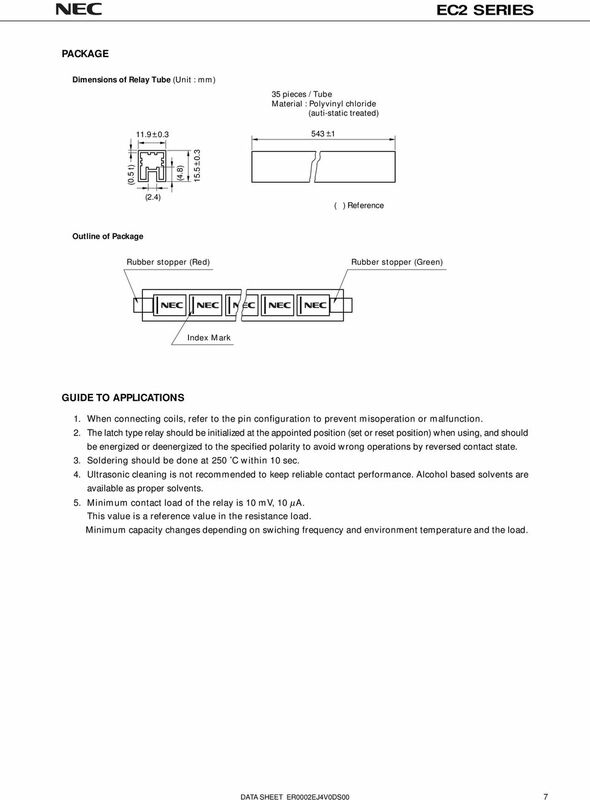 NEC Corporation assumes no responsibility for any errors which may appear in this document. 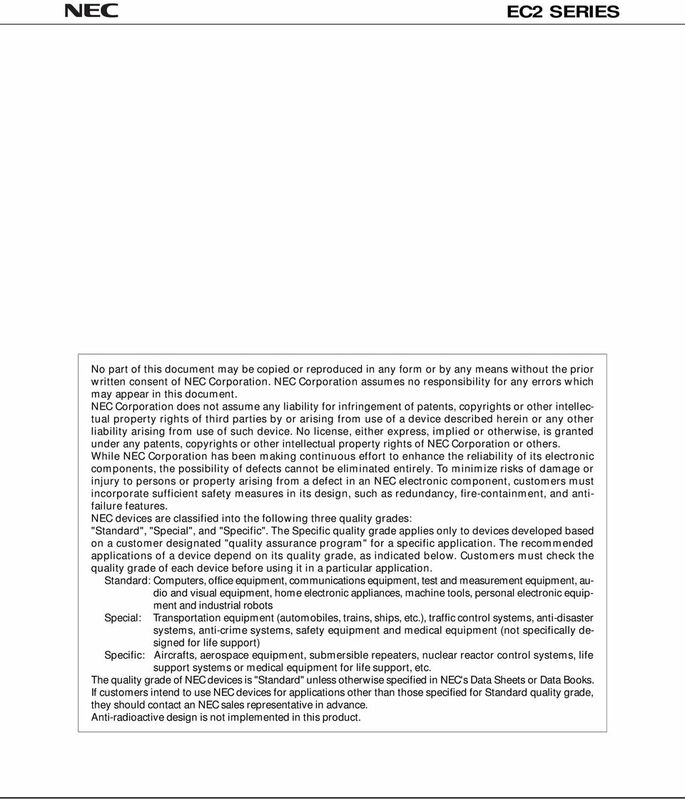 NEC Corporation does not assume any liability for infringement of patents, copyrights or other intellectual property rights of third parties by or arising from use of a device described herein or any other liability arising from use of such device. No license, either express, implied or otherwise, is granted under any patents, copyrights or other intellectual property rights of NEC Corporation or others. While NEC Corporation has been making continuous effort to enhance the reliability of its electronic components, the possibility of defects cannot be eliminated entirely. 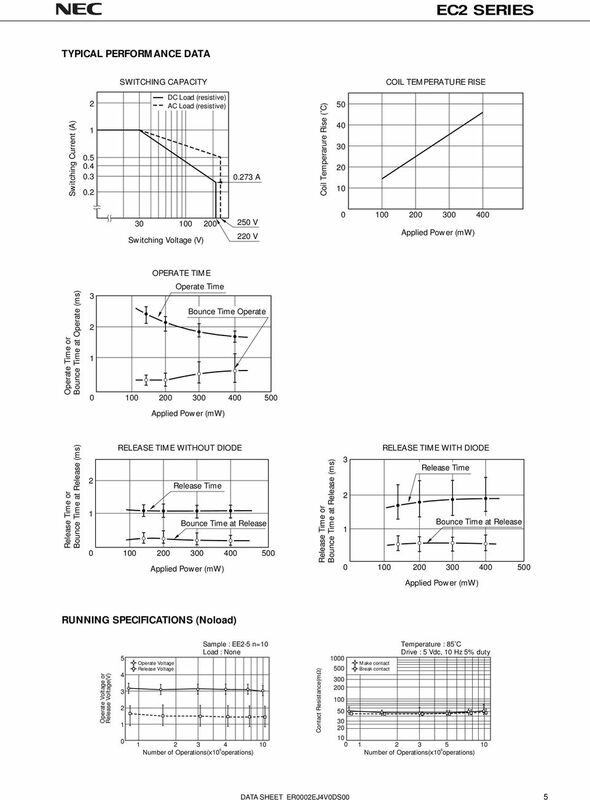 To minimize risks of damage or injury to persons or property arising from a defect in an NEC electronic component, customers must incorporate sufficient safety measures in its design, such as redundancy, fire-containment, and antifailure features. NEC devices are classified into the following three quality grades: "Standard", "Special", and "Specific". The Specific quality grade applies only to devices developed based on a customer designated "quality assurance program" for a specific application. The recommended applications of a device depend on its quality grade, as indicated below. Customers must check the quality grade of each device before using it in a particular application. Standard: Computers, office equipment, communications equipment, test and measurement equipment, audio and visual equipment, home electronic appliances, machine tools, personal electronic equipment and industrial robots Special: Transportation equipment (automobiles, trains, ships, etc. ), traffic control systems, anti-disaster systems, anti-crime systems, safety equipment and medical equipment (not specifically designed for life support) Aircrafts, aerospace equipment, submersible repeaters, nuclear reactor control systems, life support systems or medical equipment for life support, etc. 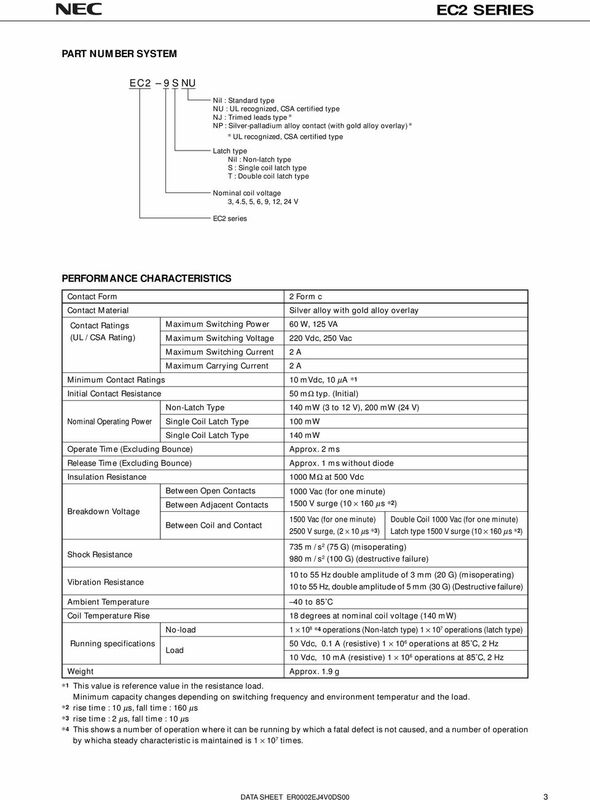 The quality grade of NEC devices is "Standard" unless otherwise specified in NEC's Data Sheets or Data Books. If customers intend to use NEC devices for applications other than those specified for Standard quality grade, they should contact an NEC sales representative in advance. Anti-radioactive design is not implemented in this product. 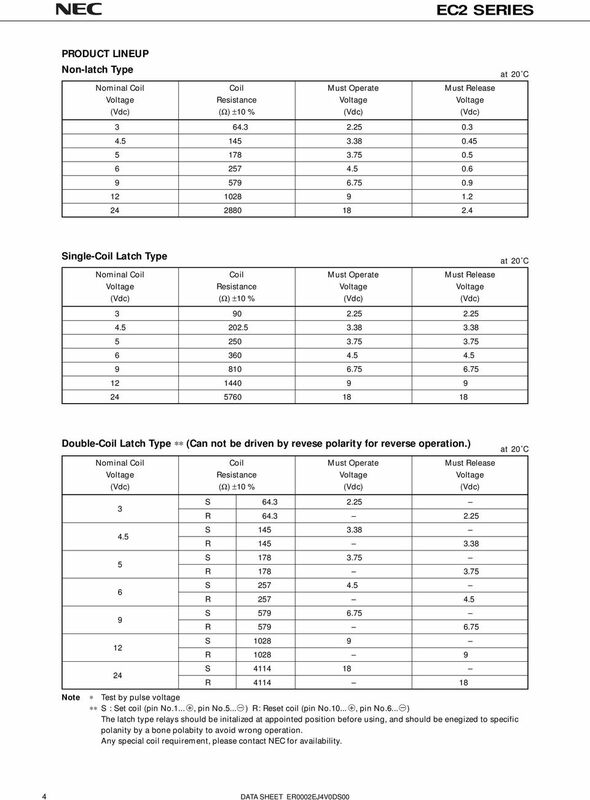 DATA SHEET. The information in this document is subject to change without notice. Low Signal Relay G6K Compact fourth generation design, offers excellent board space savings. Available in 2.54 and 3.2 mm coil-contact terminal spacing. -Y models meet 2.5 kv Bellcore surge requirements. -TR is not part of the relay model number. Therefore it is not marked on the relay case. 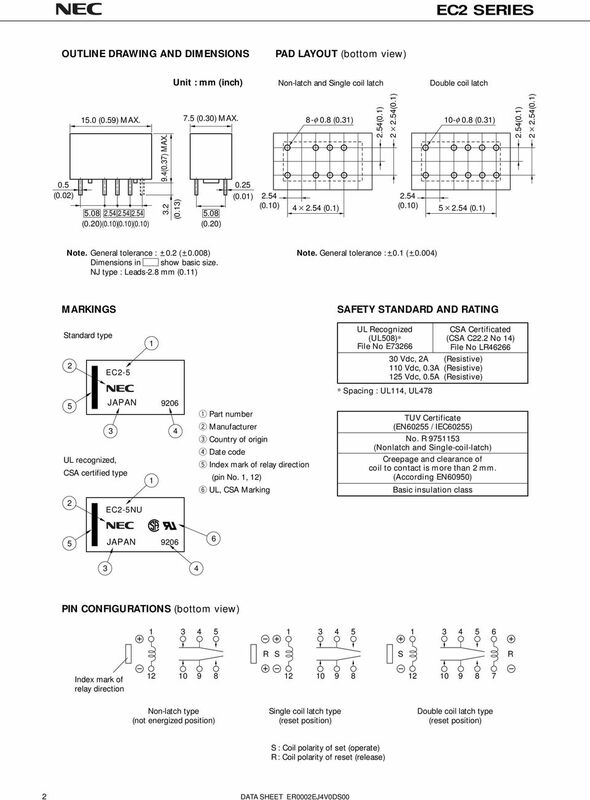 LOW PROFILE 2 FORM C RELAY 9.354 +0.4 5.197 0.2 +.016.008. mm inch. M.B.B.type. Initial breakdown voltage 1 A 30 V DC 30 W, 62.5 V A 30 W.
80% max. 80 % min. 150% max. S1D1/S1D/S1D1/S1D S1D1/S1D S1D1/S1D 1-Pin DIP Type SSR for Low Power Control Features 1. Compact ( 1-pin dual-in-line package type). RMS ON-state current I T : 1.Arms 3. Built-in zero-cross (S1D, S1D ). Temperature Controller E5C2 DIN-sized (48 x 48 mm) Temperature Controller with Analog Setting Compact, low-cost Temperature Controller. Incorporates proportional control and reset adjustment function. 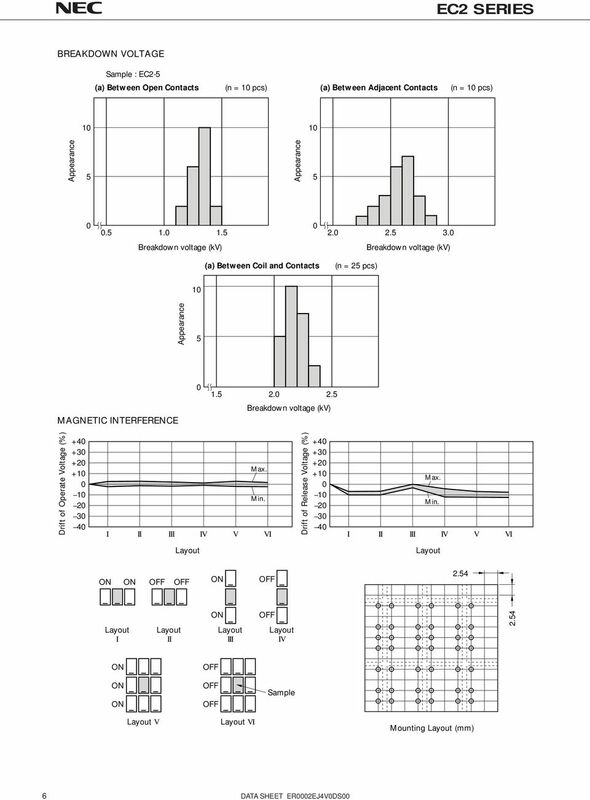 DATA SHEET MOS INTEGRATED CIRCUIT µpd6379, 6379A, 6379L, 6379AL 2-CHANNEL 16-BIT D/A CONVERTER FOR AUDIO APPLICATION The µpd6379 and 6379A are 2-channel 16-bit D/A converters for digital audio signal demodulation.